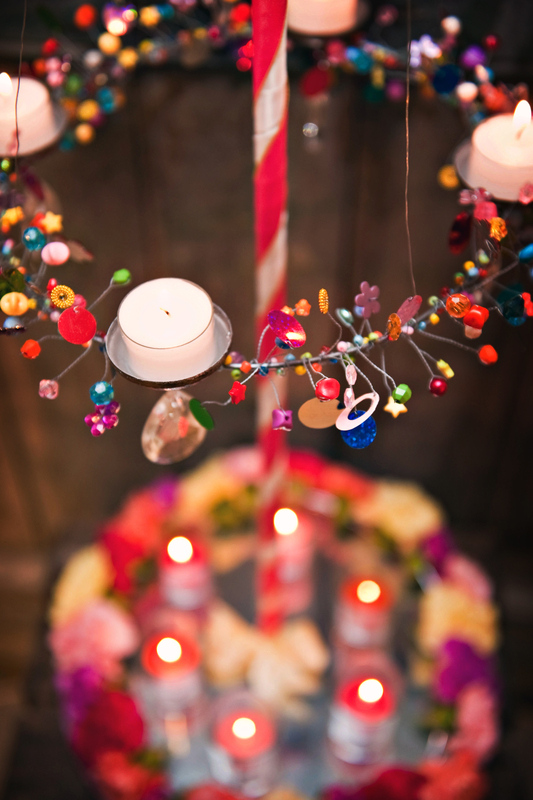 We are delighted with our latest props, particularly these wonderfully quirky maypole tea light holders. 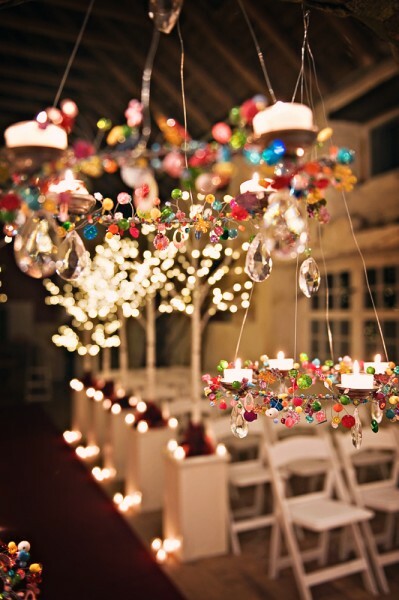 Our beaded candelabra are suspended from a maypole with tea light holders covered in beads, jewels and sequins. 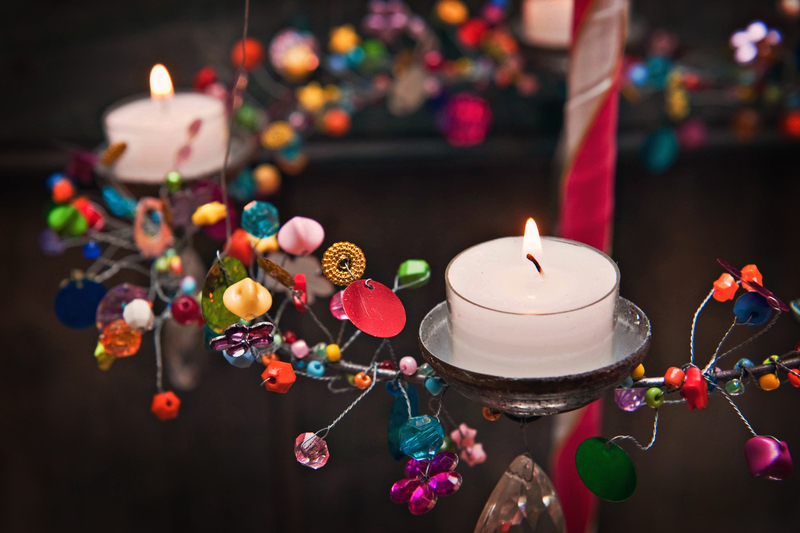 We love adding on more jewels and beads which catch the candle light and twinkle, casting a lovely festive light over any celebration table. Coupled with our bespoke maypole stands they work beautifully as a table centre and can be adorned with ribbons, flowers and greenery. The wires that the be-jewelled ring is suspended from can be hidden behind pretty ribbons, left unadorned they give the beaded rings a rather magical look of being suspended in mid-air. 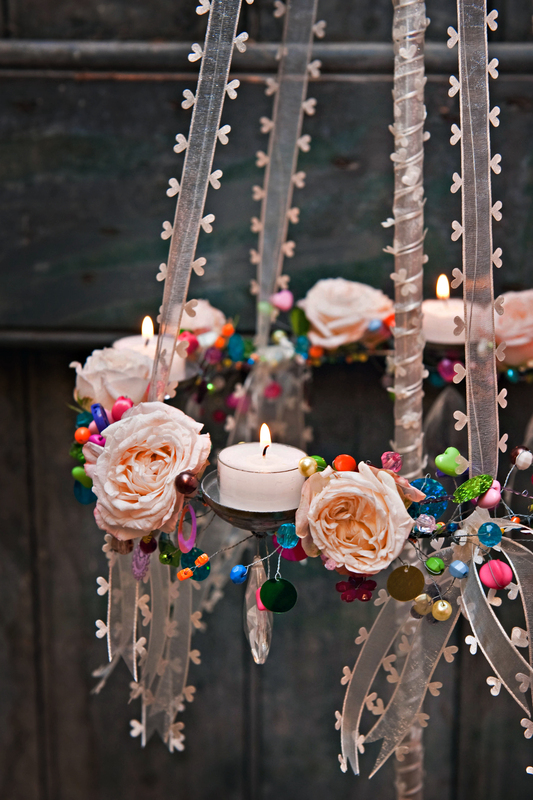 We found pale pink ribbon to match these gorgeous fresh roses and wrapped the pole and covered the wires in the pretty ribbon to create a softer look, which complimented the bride’s bouquet. 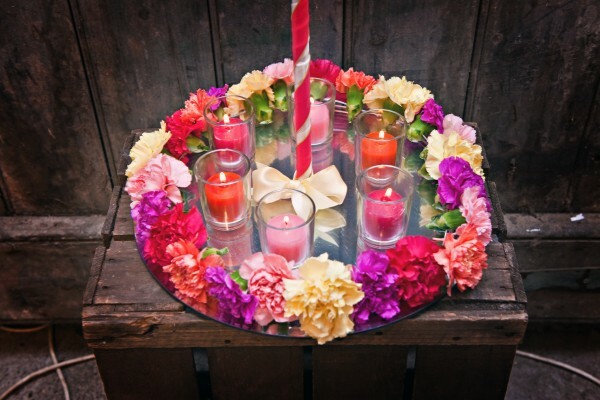 Brightly coloured flowers can be used at the base of the maypole tea light holder to match the rainbow of colours up above, and with the addition of multi coloured votive candles we created a wonderfully bright display as a centre piece. We used a mirror as a base for this table centre. 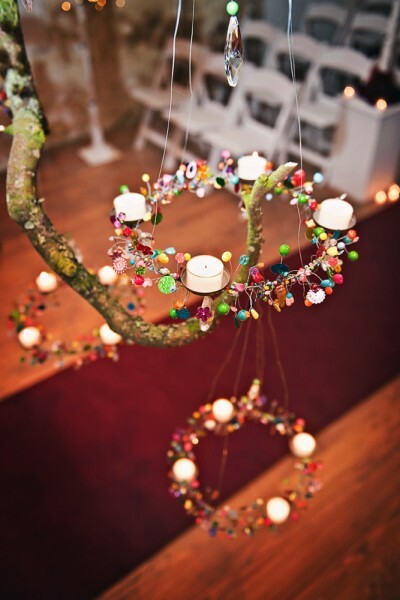 Colourful and quirky the circular tea light holders can hold 4 long burn tea lights – we’ve used white tea lights but you could use multi coloured night lights to match all the different beads, sequins and jewels. 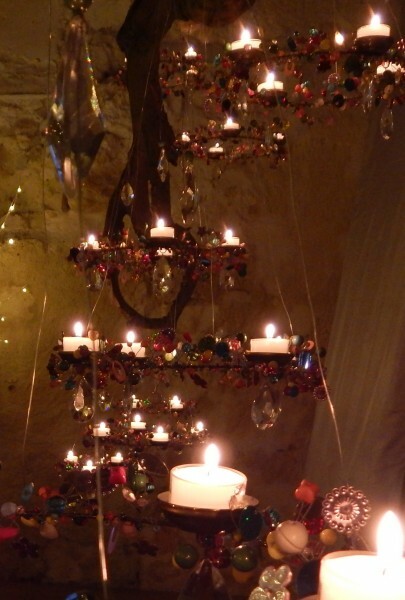 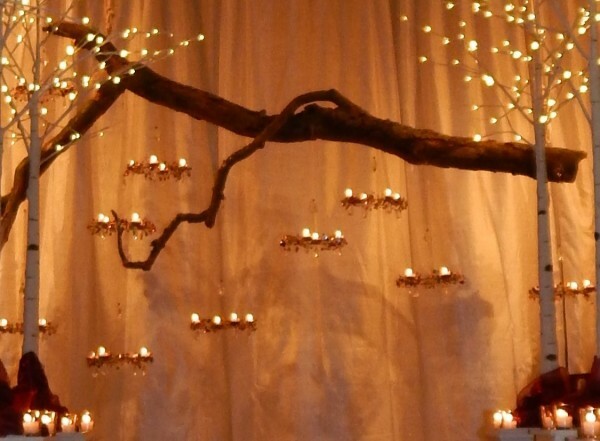 Or you can suspend the beaded ring holding the tea lights from above. We used a branch and hung several candelabra from the branch at different heights to lower the ceiling and draw the eye to the ceremony space.